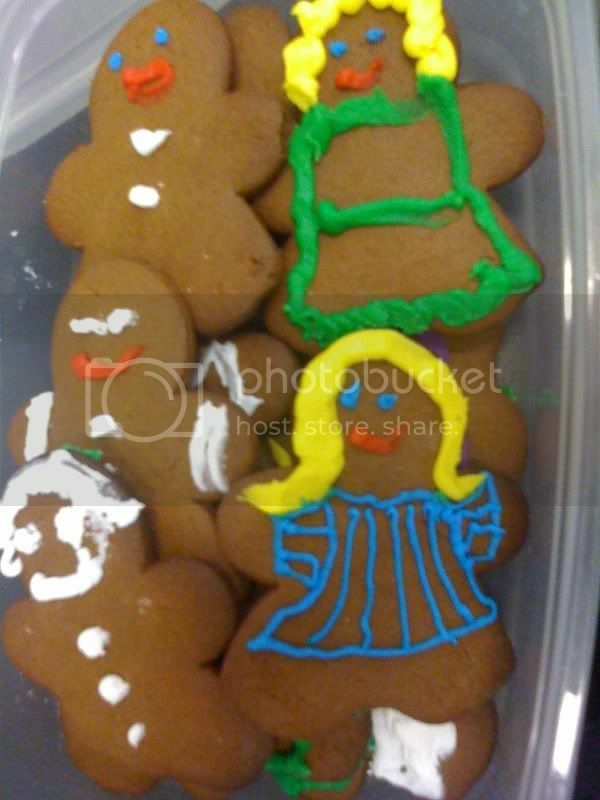 I found this recipe at myrecipes.com. It's from McCormick and I only made a few minor adjustments. The icing is store-bought. Here they are at work. Combine dry ingredients and set aside. Using stand mixer or hand mixer in a large bowl, beat butter and sugars until light and fluffy. Add the egg and molasses; beat well. Gradually add in flour until well combined. Refrigerate at least 4 hours or overnight. (Some of the dough went 2 days before I had time to bake it all without an difficulty). Preheat oven to 350 degrees. Roll dough to 1/4 inch thickness on a floured surface. Cut into cute things. The recipe says to space them at least an inch of part, but since these guys didn't expand much, so I arranged them as closely as possible without touching. Bake 8-10 minutes. 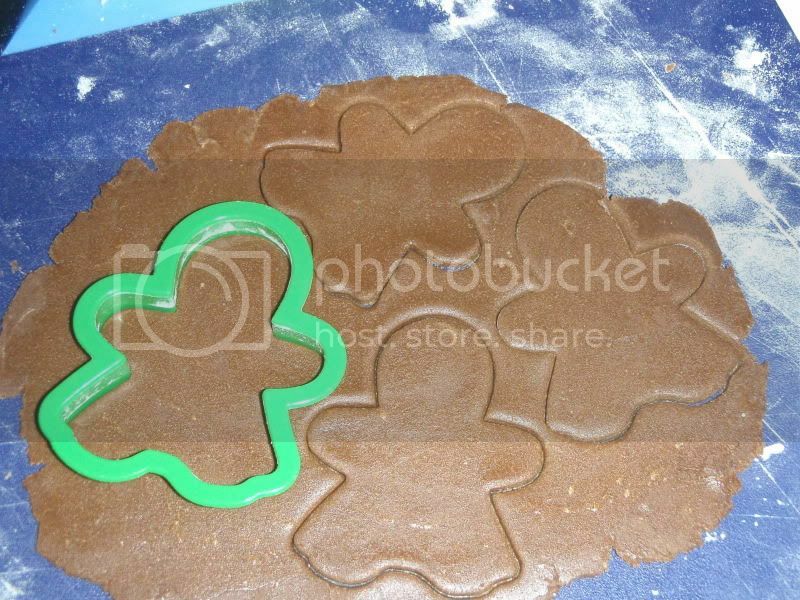 If your cookies are too thin, they will brown too quickly on the edges, so monitor them closely. The cookies are done when they just begin to brown. Cool completely on wire racks before decorating. 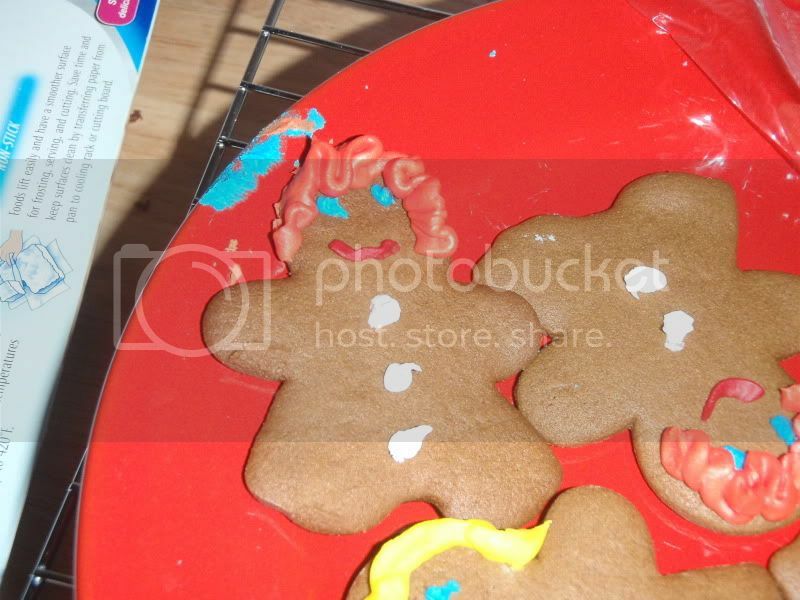 Make sure to use an icing that hardens. How adorable! 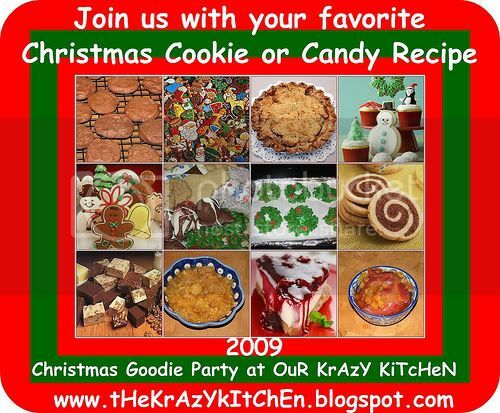 Thanks for sharing the recipe with OuR KrAzY KiTcHeN Christmas Cookie party!